Edwin Cook was born in Alert Bay, the home of the Namgis First Nations in 1897. He was the fifth of 16 children born to Jane and Stephen Cook. Jane was a noble woman from the Kwaguł tribe and Stephen was thunderbird clan from the Namgis. Edwin and his siblings were the second generation to attend "Indian residential school". His parents attended the school run by the Reverend Alfred James Hall and his wife Elizabeth. Here Edwin learned to read, write and speak English fluently. His cultural teaching came from his paternal grandmother and parents. Stephen was indoctrinated into the warrior society of the Namgis and did the training following the ancient traditions. To be a warrior in the traditional way of the Namgis the young initiate was introduced to fasting, prayer, strength & endurance training. He was hung by hooks pierced into his chest and back and lifted to the rafters of the house. There he learned courage, humility and self-discipline. When lowered the young initiate danced his power in front of old warriors and chiefs. This was the backdrop to Edwin’s formative years. Edwin stepped into his training on the HMS Conway, where he spent three years as a cadet. When WW I broke out Edwin returned home and with blessing from his parents he signed up in Vancouver to join in the European theatre of war. Edwin Victor Cook signed up on January 15, 1916. He joined the 102nd Canadian infantry and all 5’8” of him set sail for England and eventually to France. He was a man with a dark completion, brown eyes and black hair. He left England for France on November 8, 1916. He was wounded on April 4, 1917 with injuries to his left thigh and left forearm. He recovered and returned to the field of battle and was wounded again on March 12, 1918. His wounds were minor. Two months later he was granted leave and went to England for R&R. He was also granted permission to marry. Edwin married Dorothy, an English woman from South Hampton. 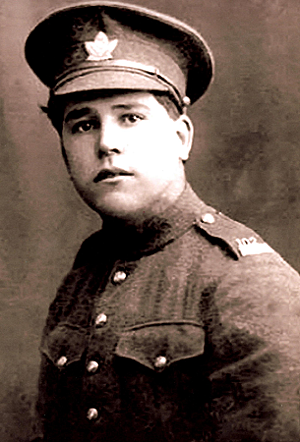 Fighting the German 6th Infantry at Vimy Ridge, Edwin was seriously wounded on August 28, 1918. On September 2nd, 1918 he succumbed to his injuries and died in a military hospital. Citation: For conspicuous gallantry and devotion to duty. He was in advance of his company as a scout and single-handed he rushed an enemy machine gun and killed the crew, thereby saving many of the lives of his own company and permitting the advance to proceed unchecked. He showed splendid gallantry and determination. Edwin’s journey is filled with irony: He was a First Nations man fighting for a country that was actively dismantling his very own culture. He was fighting to preserve a cultural freedom from which his own people were being excluded. Canada set up schools, governance systems, language policy, cultural harvesting systems that forced our people to abandon our ancient ways. Yet, Edwin believed in what he was doing. He died in the service of his country. He lost his life and his status. Mourned by many, Edwin’s name lives on and he is recognized and honoured every November 11th on Remembrance Day. He is considered by our family as a fallen hero. In my work to decolonize and protect, maintain and innovate our cultural revival, I embrace his courage, determination and strength. Looking for a newsletter with Indigenous related articles? Consider subscribing to our monthly Indigenous Relations Bulletin which is a roundup of our latest blog articles, training events, and Indigenous related trends on social media.